I am a foodie and just love lip smacking food. I mean who doesn't, right? But often these lip-smacking recipes require ounces of oil which is not so great for our health. - only a few drops of oil! I got to know of this recipe from a booklet and when I tried it, I liked it so much that I just had to share it with you. 1) Heat oil in a nonstick pan and add onions, garlic and mushroom. Saute till tender. 2) Add milk slowly along with oats, oregano and salt. 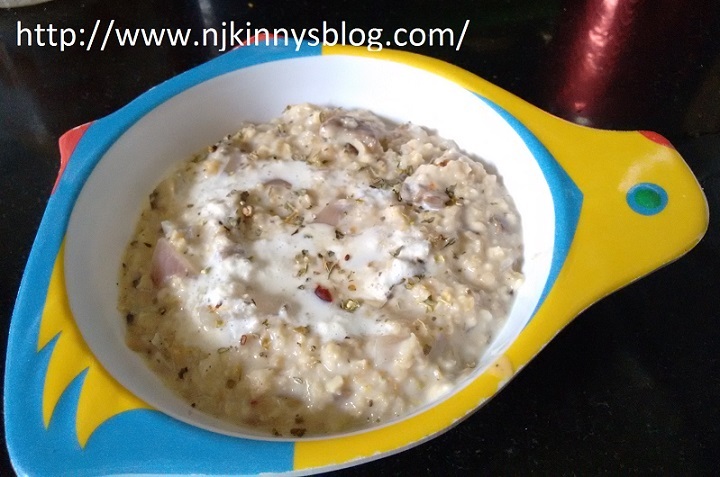 Cook for 5-7 minutes on medium flame until the oats soak the milk and get a porridge like consistency. 3) Stir continuously to avoid lumps and add some pepper and chilli flakes. 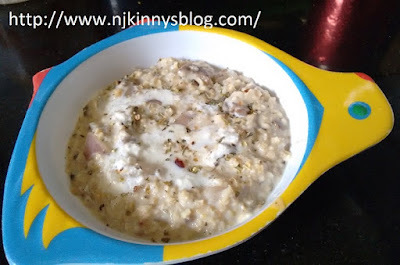 -If you are not counting calories then you can also sprinkle some mozzarella cheese on the creamy oats and run them in the over for 1 minute. -You can also garnish it with fresh cream. This recipe is not only tasty but also very healthy and what with Father's Day just a few days away, it is also the perfect breakfast to surprise your father with. 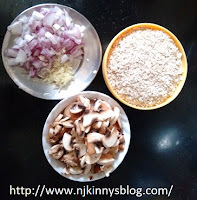 Serve him this delicious, Low oil Oats Creamy Mushroom recipe and show your love to him and also that you care for his health!